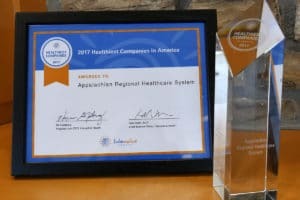 Appalachian Regional Healthcare System (ARHS) is proud to announce its recognition as one of the “Healthiest Companies in America” by Interactive Health, a national provider known for its preventive programs that encourage employees to adopt new health habits. ARHS is one of 184 companies across the country recognized this year for empowering employees to make significant and sometimes life-saving changes to improve their health. ARHS is proud to win this award in its inaugural year with Interactive Health. 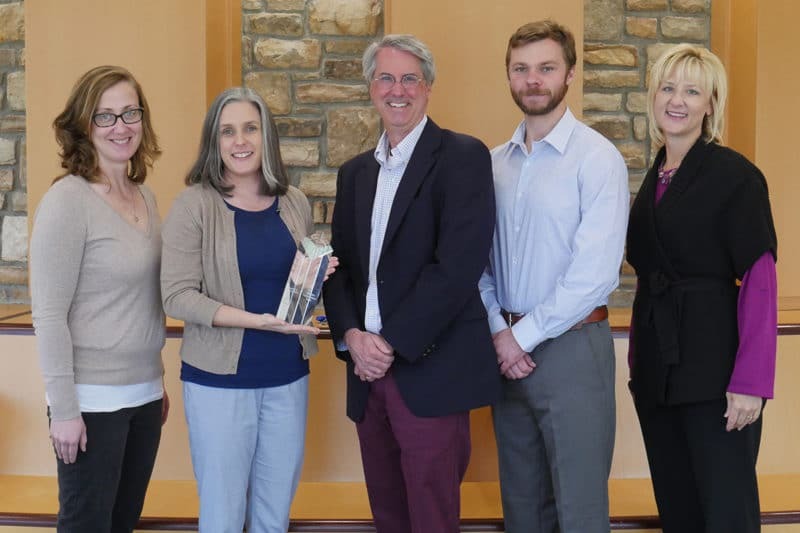 The “Healthiest Companies in America” award means that ARHS has reached or exceeded an exemplary 70 percent participation rate for its employee wellness program, and the workforce’s overall health risk is low. Health risk is calculated for each participating employee based on the results of an annual evaluation that involves a blood draw, health screening and a detailed questionnaire. The ARHS Employee Wellness program was established in 2005 and has implemented diverse programming to help employees and their spouses improve or maintain their health. These programs include weight loss assistance, tobacco cessation, wellness challenges and its award-winning Love Your Life worksite rewards program. In 2014, Love Your Life received the Healthcare Consumerism Superstar Award for Population Health Management. In 2017, 74.5% of ARHS’s employees were designated as low-risk – a 2.8% increase over 2016. For more information on Healthiest Companies in America, visit interactivehealthinc.com. Love Your Life is an outcomes-based health incentive program that promotes healthy living through behavioral, educational, and risk-reduction activities. All Appalachian Regional Healthcare System employees and their spouses are welcome to join Love Your Life.